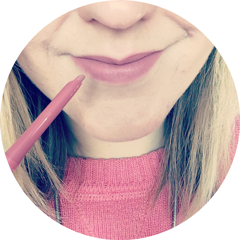 This lipstick first caught my eye when Tanya Burr mentioned it in one of her YouTube videos. When I spotted it in The Cosmetics Company Outlet, a shop that sells big name makeup, perfume, skincare and haircare brands at discounted prices, I knew it had to be mine! It came in a set called MAC "A Tartan Tale" Tis Noble to Give Viva Glam Lip Bag with a matching Lipglass. This set is no longer available, but both the Viva Glam V Lipstick and Lipglass can be bought separately from MAC. Plus, for each sale of any MAC Viva Glam Lipstick and Lipglass, the full RRP (less VAT) is donated to the MAC Aids Fund. 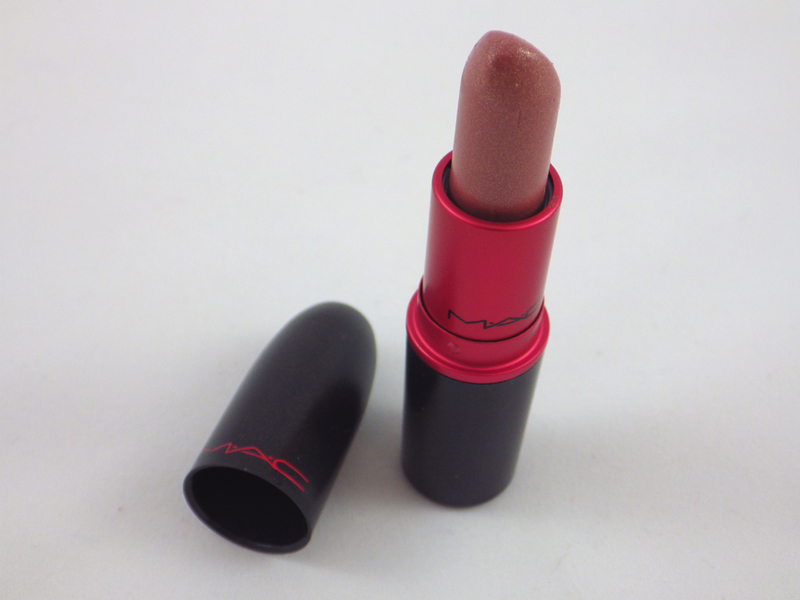 Viva Glam V is described by MAC as a "pure, neutral pink" and comes in a lustre finish, which is sheer and glossy. 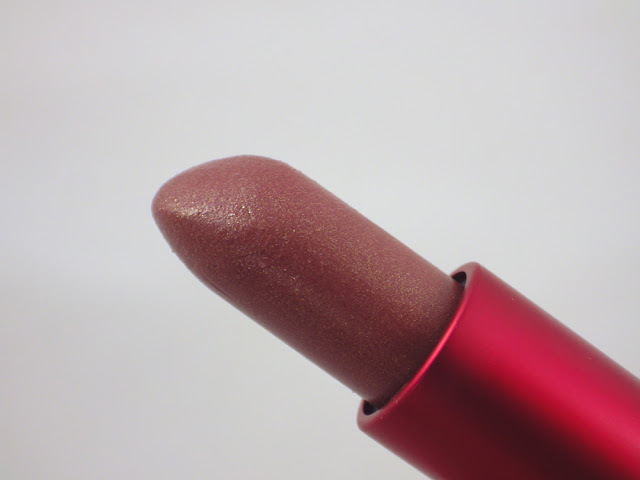 I love the colour; I would describe it as a brown toned pink, which is absolutely perfect for everyday wear. It does have some gold glittery particles running through it, but it's very subtle. The wear time is around a few hours. I really do think this an underrated shade from MAC! 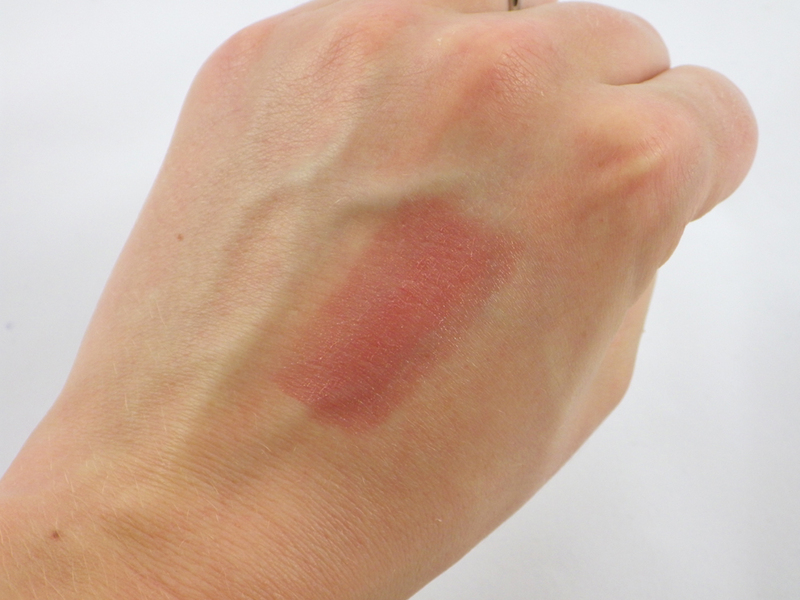 What are your favourite everyday wear lipstick shades?